Arieli Jewellery is Laura Galligani. I'm an Italian designer from Tuscany, I started my career in jewellery making about twenty years ago following the tradition of Florentine artists and artisans. The desire to create beautiful jewellery is what I thrive on, each piece I make for my collections is handmade and therefore unique. 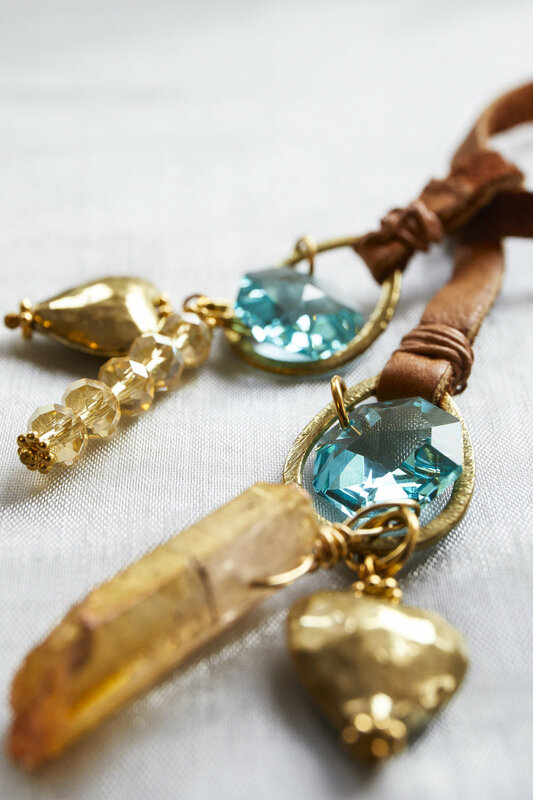 I love mixing different materials like crystals, leather, and semi precious stones to make beautiful pieces. Handcrafted jewellery made from materials sourced from around the world, to create unique pieces to wear all the time, in any way and with anything.